I decided to give myself an early Christmas gift this year: A complete overhaul of this website. I’ve been unhappy with the previous design of this site pretty much since the day I launched it. I wasn’t dissatisfied about anything in particular, but I didn’t feel especially overjoyed about anything either. The design as a whole just didn’t feel right. I’m starting to think that perpetual dissatisfaction with your own website is unavoidable for web designers, but that didn’t stop me from feeling increasingly anxious to give it another try. About three months ago, I succumbed to the temptation and fired up InDesign. The new design went live on the site yesterday. I think I still like it. It doesn’t hurt that the color combination reminds me of my two favorite beverages: coffee and whisky. The theme is called Overture, because theme folders need a name and I was listening to Overture from the Halo 3: ODST soundtrack when I created the folder. More or less everything on the site has been restructured and restyled, but the biggest changes have been made on the front page and the journal. I hope the latter change will lead to me actually writing in the journal more often as well, but based on my past record, I wouldn’t bet on it. I’ve also added a much-needed FAQs section to the themes archive page and removed some unnecessary cruft from the single theme pages. 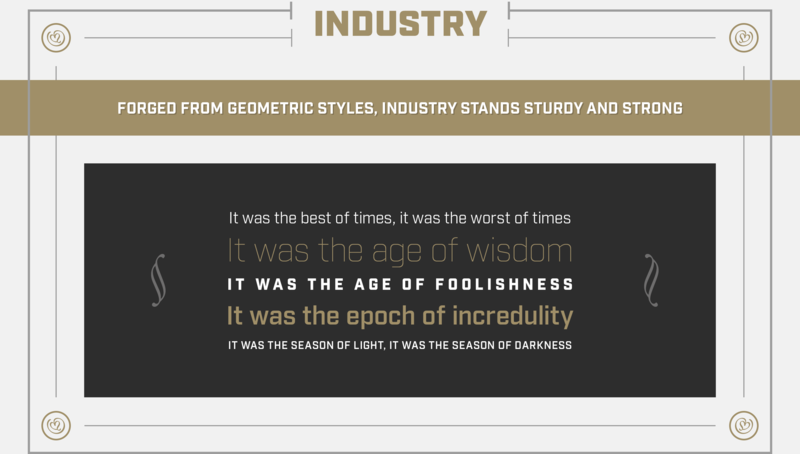 The new design uses the typeface Industry, designed by Mattox Shuler for Fort Foundry, and the Abril family, designed by Veronika Burian and José Scaglione for TypeTogether. Icons are courtesy of FontAwesome, as always, and stock photos come from Unsplash. One of the major additions to the site is advertisements, served by Carbon Ads. I’m pretty happy with the relevancy of the ads that have been displayed so far, and I’m very happy that Carbon Ads give publishers full control over the styling of the ads. 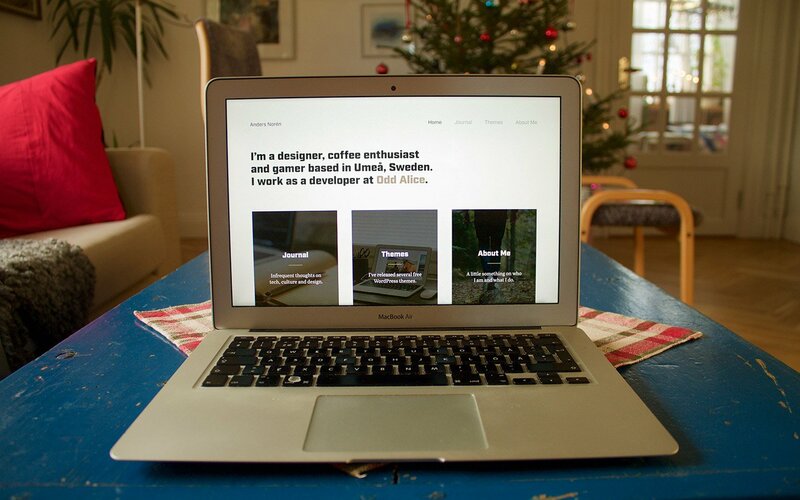 I’ve used the combination of light grey, dark grey and gold for Kaffeguide.se, isittoolateforcoffee.com and my WordPress theme Hoffman in the past, and I quickly decided to give it a go when I started trying out ideas for the redesign. The color combination looks hot as hell when it’s done right, and it doesn’t hurt that it reminds me of my two favorite beverages: coffee and whisky. It’s like an Irish Coffee in web form. As always, any and all feedback is extremely appreciated. You can hit me up at @andersnoren on Twitter or send me an email at anders@andersnoren.se.